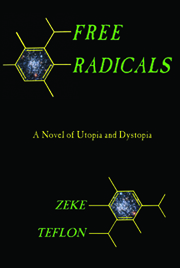 by Zeke Teflon, author of Free Radicals: A Novel of Utopia and Dystopia. One of the most obnoxious features of many sites is their use of slideshows. Why would anyone do something so calculated to piss off readers? Pay per click. If you have a list with 20 entries, put it up properly (scroll down), and you’ll get paid for a single click. Put it up as a slideshow, you’ll get paid for 20 clicks. Sleazy, yes. But there is a way around it: deslide turns slide shows into decent, normal web pages. It seems to work on most pages, so check it out. (A special kudos here to sites that could routinely use slideshows but don’t; the most outstanding example that comes immediately to mind is io9.com, the sci-fi site. In contrast, sfgate.com, the site of the SF Chronicle, almost exclusively uses slideshows for transparent, commercial reasons.) Deslide will help you get by such sucky, time-wasting click-shows. It seems to work about 75% of the time. Try it. You’ll like it. Intelligent Design: Revelations, published by AIA Publishing, is out now. Alastair Reynolds has a great imagination, as witness the setting in this sequel to Blue Remembered Earth. In Steel Breeze, you’ll find masterful descriptions of triplicate clones identical down to neural structure, uplifted elephants (“Tantors”), “holoships” (usually referred to as “generation ships” or “arks”) traveling at sublight speed, excavation of an early space age artifact (Venera 9) on Venus, an artist colony in the interior of the Saturnian satellite Hyperion (structurally, probably the weirdest moon in the solar system), mysterious BIO’s (Big Intelligent Objects) orbiting a nearby habitable planet, life extension to centuries, suspended animation, aquatic humans colonizing the seas, and antagonistic, near-all-controlling AI’s (“artilects”). In other words, this is space opera on a grand scale. And its technological projections are plausible. Reynolds gets the science right. The problems with this adventure novel have to do with the characters, plot, and its lack of political, social, economic, cultural, psychological, and ethical interest. It simply doesn’t explore any of these matters. The closest it comes is implying the obvious: that species extinction is an atrocity and that burning fossil fuels is a very bad idea. The plot problem is that the plot pivots on supposedly smart people doing something very stupid: those in charge of generation ships en route to a nearby star’s habitable planet burning most of their fuel during acceleration, in order to shave a few decades off travel time, with no obvious reason for doing so, and with no plan for slowing down enough to go into orbit around the planet rather than shoot past it. (It requires as much energy to decelerate as it does to accelerate.) This is staggeringly stupid. And the characters are simply uninteresting. The central characters are two of the three Chiku Akinya clones, with virtually the entire novel narrated from their points of view; and at the end of nearly 500 pages you feel as if you have no idea who they are. You never get inside their heads. Not because they’re mysterious, but because they’re one dimensional. They apparently have no insecurities, sexual desires, jealousies, self-insight, sense of humor, or indeed any of the other traits that make characters individual and memorable. This novel is essentially a giant pinball machine filled with flashing lights, parts moving in all directions–and nothing more. 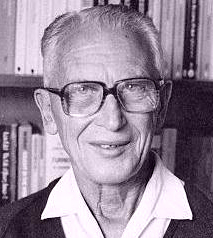 George Turner (1916-1997) was already in his 60s, a well established, award-winning Australian novelist, when he wrote his first science fiction novel, Beloved Son (1978). He wrote seven other science fiction novels prior to his death. All deal with ecological (especially climate-change) disasters, ill-advised attempts to deal with them, and the results of both the disasters and the attempts to cope. Most of the novels are set in Melbourne and its surrounding area. Almost all of them have deeply flawed protagonists (“heroes,” would be overstating it) who are often members of the police or military. And all the novels are decidedly downbeat, leavened by very occasional, always mordant humor. The first book set in this “universe,” Beloved Son, describes the social breakdown that follows the catastrophes, the rebuilding over the next four decades under the guidance of the World Council, “a super-UN, but with teeth,” and the rise of cult religions. The second book, Vaneglory, revolves around the discovery of “mutant humans … with lifespans of thousands of years,” the secret attempts to discover their genetic secrets, and the corrupting influence on the power structure of the lure of immortality. One noteworthy aspect of Vaneglory is that it first reveals Turner’s terror of, and absolute rejection of, the scientific pursuit of immortality, which he considered a road to disaster. The third book, Yesterday’s Men, has to do with socially rigid, caste-based orbital colonies and the tension between them and the decaying “Ethical Culture” that produced the “super-UN” World Council. The book is primarily notable for its extensive, gut-wrenching passages describing combat in the jungles of New Guinea, where Turner served during World War II. Turner’s fourth science fiction novel, Drowning Towers (1987–published outside the U.S. as The Sea and Summer), is his most famous. It’s the first, or at least the first major, novel to deal head on with climate change. Previous sci-fi novels, notably John Brunner’s The Sheep Look Up (1972), had tackled ecological catastrophe, but none had dealt with climate change as the primary ecological problem. Drowning Towers also introduced three of Turner’s other preoccupations: massive unemployment resulting from automation; overpopulation; and a possible “cull” of excess population. Drowning Towers is remarkable for its complex structure. It’s a story within a story, with the “frame” set approximately a thousand years in the future. (Joseph Conrad provided what are probably the most familiar examples of this device in his “Marlow” stories, such as Heart of Darkness.) The “frame” is written in a mix of close third-person and first-person points of view alternating between two p.o.v. characters, while the story that constitutes the body of the book is a first-person narrative by five secondary characters–but not the primary character!–with the various narratives divided into chapters. Structurally, Drowning Towers is a tour de force. The main story is set in the Melbourne of the 2040s-2060s, already severely afflicted by climate-change-caused flooding, with the social backdrop of massive unemployment and a class system divided into the “sweet” (the rich and the small middle class who have jobs) and the “swill” (the uneducated, unemployed masses living in nightmare, overcrowded public-housing skyscrapers holding 70,000 people each–hence the title of the novel). The story’s primary character is a “tower boss,” Billy Kovacs, and the story revolves around the conflicting desires and efforts to survive (not “get ahead”) of Kovacs and five major secondary characters (two of them policemen) in the brutal world Turner describes. It’s a mark of Turner’s writing skill that only one of the very well drawn secondary characters (Nick, one of the policemen) is especially admirable, but they’re all sympathetic–struggling against almost hopeless odds. Perhaps because he realized the bleakness of Drowning Towers, at its end (right before the closing of the frame) Turner tried to introduce a ray of hope through what is essentially an epilogue describing a few mild reformist measures that would surely have been tried–and would have failed–well before their place in Drowning Towers‘ chronology. This is the most obvious flaw in the book, though it’s minor. There are other more serious flaws, but they have to do with Turner’s underlying political, social, and economic assumptions (more on that tomorrow in Part II). Turner’s next novel, Brain Child (1991), is a very tightly plotted thriller. It’s structurally simpler than Drowning Towers, but it’s nearly flawless. The closest it comes to having a real flaw is that it’s written from a first-person p.o.v., with the bulk of the narration provided by David Chance, the protagonist, with the rest supplied by the primary secondary character, Jonesy, a high-ranking police official. What makes this a flaw is that Jonesy’s narrative comprises only two of the book’s thirteen chapters. There’s no structural reason for this; Turner did it simply because it was convenient. In less skilled hands, this could have been a major problem. But here, it’s almost unnoticeable. Brain Child is set in 2047 in an impoverished and severely overpopulated world, with the novel’s events taking place in and around Melbourne. It’s primarily concerned with the results of genetic experiments which produced three distinct groups of superior children, one reclusive, coldly logical and analytical (A group), one artistically gifted and supremely arrogant (B group), and one ultra intelligent and unfathomable–and hence very frightening–(C group), who committed collective suicide 25 years prior to the events of the narrative. Turner’s next sci-fi novel, The Destiny Makers (1993), is a thriller that’s set in the same universe as the two novels which follow it, Genetic Soldier (1994) and Turner’s final novel, Down There in Darkness (1999). It’s concerned almost entirely with the problem of overpopulation, and a possible draconian solution to it. The plot revolves around the question of a “cull” by the anglophone nations, and the resistance against it by Australia’s weak but relatively moral premier, Beltane. The Destiny Makers sets up Turner’s next book, Genetic Soldier, by having two sub-light-speed interstellar survey/colonization ships leave Earth during the book’s course. At the beginning of Genetic Soldier, one of these ships returns to Earth to find a primitive planet depopulated because of a religious cult’s cull/hare-brained genetic experiment seven centuries earlier. The book centers on the determination of the returnees to remain on Earth, and the determination of the primitives to drive them off it. In Genetic Soldier, Turner returns for the most part to close third-person narration (as in Yesterday’s Men) with occasional snatches of first-person narration thrown in. It works–it’s almost unnoticeable. The strength of Genetic Soldier is in its characters, Thomas, the duty-bound primitive “genetic solider,” and two women from the starship, middle-aged Nugan and her 18-year-old daughter, Anne. It’s a testament to Turner’s characterization abilities that all three are equally plausible. Unfortunately, Genetic Soldier is as much fantasy as it is science fiction. The reason is that the central underlying “scientific” conjecture, Rupert Sheldrake’s “morphogenetic fields,” is pseudo-science, and that “theory” was already busted when Turner wrote Genetic Soldier (more on this tomorrow in Part II). It’s one thing to base science fiction on scientific conjecture, no matter how speculative. It’s entirely another to base it on already debunked pseudo-science. Turner is well over this line in this book, and it robs Genetic Soldier of much of its enjoyment for readers who want even remotely plausible science in their science fiction. Another problem is that Genetic Soldier‘s plot is as straight as Highway 95 through Nevada. Once Turner hammers home, about a quarter of the way in, that the book’s central underlying concept is “morphogenetic fields” (which he shortens to “morphic fields”), it’s all too easy to guess, if you understand that “theory,” how the book will unfold. (When Turner telegraphed that fact, my reaction was, “Oh no! You’re not going there? !”–and sure enough he did.) That predictability robs the reader of much enjoyment, for it’s much more pleasurable to be surprised occasionally, to sometimes not know what’s coming next, than to see a book unfold in almost exactly the way you’d guessed it would. In other words, Genetic Soldier‘s predictability robs it of drama. All this leads one to suspect that Turner’s publisher, Tor, took an unfinished manuscript badly in need of revision, edited it to the point where they thought it could pass, and published it–either that or they slapped the book together from fragments. It’s quality is so inferior to that of Turner’s other novels that one or the other of these possibilities seems quite likely. Turner’s publisher did neither him nor his readers a favor by publishing this shoddy piece of work. But the best of Turner’s novels, Drowning Towers and Brain Child, are enough to establish him as one of the great science fiction writers of the twentieth century, and three others are lesser books but still much better than average sci-fi novels: Beloved Son, Yesterday’s Men, and The Destiny Makers. Joe Haldeman’s most recent novel, Work Done for Hire, is a mixed bag.While it’s set in the near future, it’s few sci-fi elements are entirely incidental to the story, which is a straight-up thriller that could just as well have been set in the present. The phrase “work done for hire” is taken directly from the U.S. government’s copyright form, and refers to writing done on a contract basis for money. In this case, the writer is the protagonist, Jack Daley, a struggling novelist and PTSD-plagued combat-vet sniper who at the beginning of Work Done for Hire takes on a novelization project, fleshing out the story for a horror movie. This leads the reader to suspect a story-within-a-story novel, and indeed the first several chapters strictly alternate between Daley’s story and the horror tale. Then, strange and frightening things begin happening to Daley and his girlfriend, Kit, causing them to go on the run, and Haldeman almost entirely drops the horror tale; it makes up perhaps 10% of the remaining three-quarters of the book, and focuses entirely on the brutal actions of the story’s monster. This is unfortunate, because the protagonist in the horror tale is interesting, the monster isn’t, and Haldeman simply drops the protagonist and his story, stunting the horror tale. It’s disappointing. The remainder of the book consists almost entirely (but for a few short, brutal horror-tale chapters) of Daley and Kit’s adventures while on the run, and while having no clue as to who’s tormenting them or why. Unfortunately, the reader doesn’t, either, because Haldeman provides no clues. Five pages from the end of the book, I still had no idea how Haldeman was going to wrap it up. No idea who was tormenting Daley and Kit, or why. Ultimately, Haldeman explains the plot in the book’s epilogue, and that’s not a good thing. Half the fun in reading mysteries and thrillers is trying to figure out what’s going on, and that requires clues, of which there are virtually none in this book. There are redeeming features, though, in Work Done for Hire. The protagonist, Jack Daley, is a strong, complex character. The writing is as tight as you’d expect in a Haldeman novel. There’s some humor, all provided by Daley’s mordant comments about life and, especially, himself. The book is a page-turner. And Haldeman once again displays his masterful knowledge of firearms and the military. Recommended only for Haldeman fans. Let’s just look at the movie as a movie–let’s not compare it to Orson Scott Card‘s 1985 novel of the same name. The film opens with a quote to the effect that to understand one’s enemy is to love him. That line sounds very much like it was written by someone who has taken one too many acting classes, and actually believes the dictum that in order to play a character you have to love the character. Wrong. Marlon Brando gave one of the all-time great performances as Stanley Kowalski in A Streetcar Named Desire. Did he love Kowalski? Hardly. Brando despised him, and said as much. He said that all that’s necessary to playing a character is to understand the character, which is not the same as loving the character. Brando’s performance is powerful evidence that he was right. Going beyond the opening quote, Ender’s Game‘s stated premise is that to combat a race of aggressive ant-like beings, the Formics (as in formic acid), it’s necessary to turn over tactical control of Earth’s combat forces to the most talented of Earth’s children, who have been immersed in video games since birth. That premise was serviceable (barely) three decades ago when Card wrote his novel. Today, after thirty year’s of Moore’s Law increase in computer processing power–with computers expected to surpass the processing power of the human brain within the next two to three decades–it’s not. It’s dated and outright embarrassing. Other, worse, absurdities abound. Ants the size of elephants? Physiologically impossible. (There are reasons why elephants have massive legs and insects never exceed a few inches in size.) Prolonged interstellar war? No. Accelerate even a very small asteroid to just one percent the speed of light, slam it into a planet, and it’s Game Over. And … But why go on? 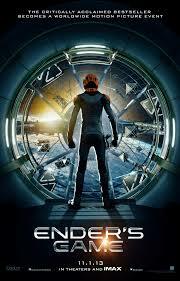 Even ignoring its absurdities, Ender’s Game is still a lousy movie. The dialogue is serviceable. The acting is serviceable. The characters cardboard. And the pacing is terrible. The first hour of Ender’s Game consists of little more than standard boot-camp scenes (featuring a blustering d.i. ), unusual only in that the “soldiers” are barely pubescent, interspersed with what for all intents and purposes are zero-g paintball sequences. The first hour or so is both slow and boring (the two aren’t synonymous–see Tarkovsky’s Solaris), and then the film proceeds at breakneck speed. Another problem involves the training regimen depicted in the film’s first hour. It’s ultracompetitive, and those in charge of it tacitly encourage bullying behavior–it’s a regimen designed to produce “leaders” who in all but name are sociopaths. Yet very few of the kids act like sociopaths, including Ender, who shows surprising concern after accidentally injuring a bully who’s been tormenting him. Very few people would show such concern–let alone a young teenager conditioned to be sociopathic. One final aspect of the film that adds much to its dreariness is its muted, low-saturation color palette, especially in the first hour. The apparent purpose of this is to provide contrast with the flashy space-battle sequences toward the end of the film–which is evidence that the director knew that the sequences themselves weren’t enough of a payoff. Ender’s Game is even worse than Oblivion, which in a few spots is so bad it’s good. Ender’s Game is simply bad. In Part I of this post, we considered outlining, research, background detail, “getting the science right” (in sci-fi), and generating a plot. In separate posts, we’ve looked at mechanical problems such as misuse of punctuation and use of passive voice. Here, we’ll consider two additional matters unique to fiction: writing dialogue and inserting exposition into narrative sections. Let’s look at dialogue first. There is no secret to writing good dialogue, but there are guidelines. Probably the most important is that conflict drives good dialogue; there should be some tension resulting from emotion (e.g., jealousy, irritation, anger), attitude (contempt, pity, amusement), or desire (to amuse, to impress, to seduce, to put down, etc.). Take those things away, and you have either mere exchange of information or, worse, chit chat. It’s also important to understand that dialogue is not the same as normal speech. Everyday speech, even when driven by emotion, attitude, or desire, wanders from topic to topic, is often poorly worded, is almost always unnecessarily wordy, and often trails off rather than concludes. Dialogue, in contrast, should be concise yet should retain normal speech rhythms. To put this another way, dialogue is boiled-down, better-organized, emotion-driven everyday speech. One thing that helps helps tremendously when writing dialogue is having a good ear. Some people seem to have one naturally, though almost anyone can develop one. How? Listen to the people around you, both those you speak with and, especially, those you overhear. Listen to what they’re saying and, more importantly, how they’re saying it. Listen for both common rhythms, expressions, and patterns, and for peculiarities. And pay attention to who’s speaking. Note the ages, races, genders, sexual orientations, economic class, occupations, places of origin, social status, etc., of those you’re listening to. Also pay attention to who’s speaking to whom. Women’s speech, for instance, will be different when they speak to each other than when they speak to men, and vice versa. One common means of dealing with this problem is the “info dump,” in which the writer simply plops down large amounts of exposition in the middle of the story. This can be done through outright exposition sections (sometimes in the form of entire chapters) dumped between narrative sections, or through thinly disguised exposition in the form of extended monologue or dialogue. It’s best to avoid both of these methods. Why? Info dumps call attention to themselves, and they stop the flow of the narrative. In other words, they take the reader out of the story. “You need to weave the information in the info dumps into the narrative sections. One thing that’ll make it easier to do that is to go through all of the exposition sections and figure out what you absolutely have to include. You’ll probably be surprised at how little of the information in those sections is essential to the story. Separate that out, and then figure out how and where to insert it in the narrative sections. Then jump back into the narrative whenever it suits you. No preparation is necessary. A third way of dealing with the info-dump problem is to simply do an info dump, but put it at the beginning of a novel and label it as a “prologue.” (This is essentially the same device as the extended voice-over introduction to bad sci-fi movies.) Prologues have been out of fashion in sci-fi for decades — they’re essentially an admission of defeat by an author, an admission s/he doesn’t know how to gracefully work in the information in the prologue into the narrative — but they still are useful, in fact close to indispensable, in two related types of sci-fi novels: sequels and books in series. In such books, it’s virtually impossible to work in a summary of the previous novel(s) in any other manner, and the omission of a prologue will very often leave the reader at sea. But other than in those special circumstances, it’s best to avoid prologues.